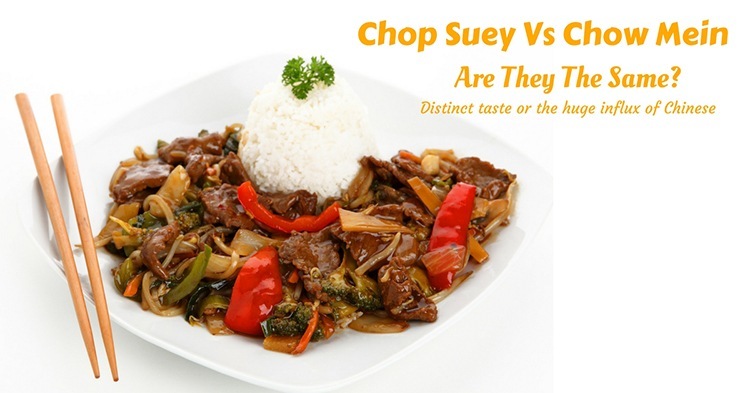 →CHOP SUEY VS CHOW MEIN: ARE THEY THE SAME? Chinese people have spread all over the world for hundreds of years. 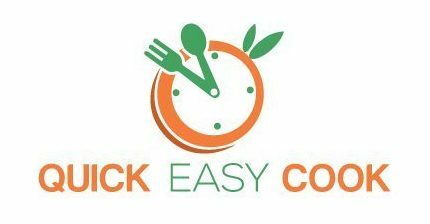 And so is their incredibly delicious cuisine. Including the chop suey and the chow mein. However, it is said to be invented in the US and not in China. It was apparently invented by Chinese immigrants in the US in the 1890s. 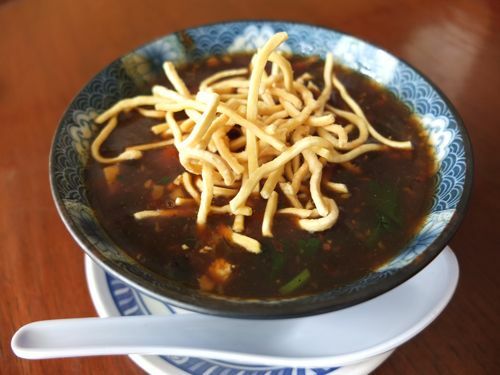 There is also a story that chop suey was actually created during the Qing Dynasty when Li Hongzhang went to the US and his chef attempted to make a dish suitable for Chinese and Americans that led to this dish. 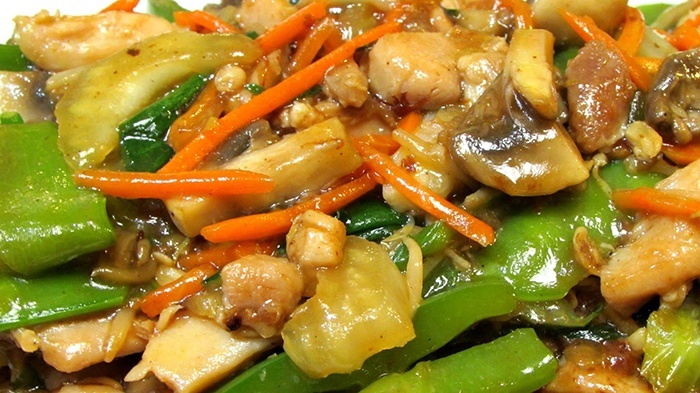 Chop Suey is a very famous dish in the Philippines. It is widely known to have mixed vegetables like carrots, cabbage, peas, cauliflower and etc. 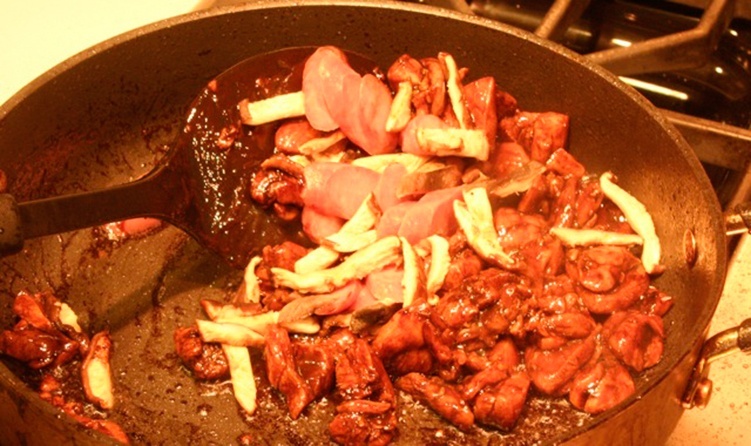 A type of meat like pork, chicken, beef and even pork liver is added to it. It is often served with white rice. Unlike the Filipino version of chop suey, the American version is a little bit different since it actually has pasta on it. It consists of elbow macaroni with ground beef that is sautéed in onions and green peppers together with thick tomato sauce that looks a lot like chili Mac. 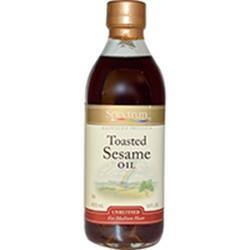 It is often cook in a pan over stove top or being baked in the oven. It is served on a bowl with a bread and Worcestershire sauce but It is rather like a mix of Italian and American cuisine instead of Chinese and American. Many people tend to think that chow mein is actually the same as chop seuy. But the truth is, the word chow actually means fried and the word mein means noodles. 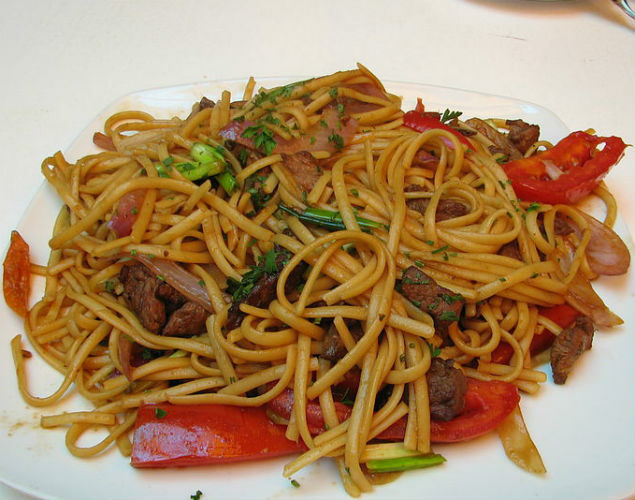 Chow mein is popular in India, Nepal, England and United States. 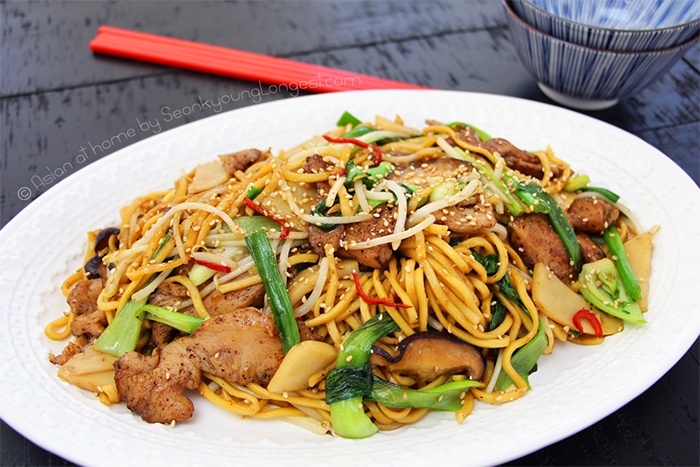 The traditional chow mein has noodles from eggs and they will stir fry it until the noodles are crispy enough. 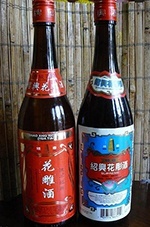 It is combined with seafood or barbecue pork. Their sauce has garlic, red wine, salt and corn flour. 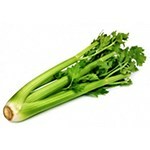 There are no specific vegetables for this, any type of greens will do. This Chinese dish from Peru is quite different from the others since it has peppers, onions, green onions and tomatoes on it. 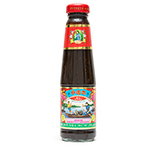 What is so unique about the Nepalese version of chow mein is that they use water buffalo meat from the Kathmandu Valley. Although, they also use c﻿hicken, they use the water buffalo more and mix it with vegetables and fried noodles. 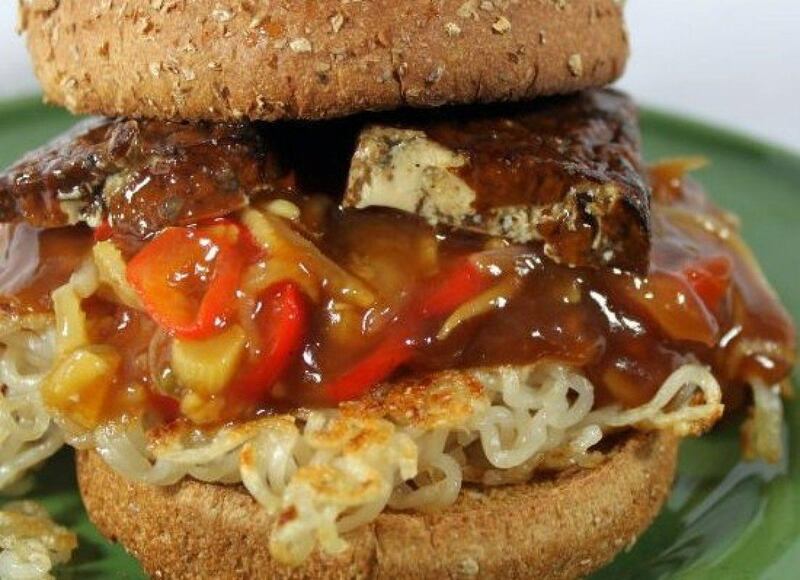 Another version is the one from India where they add gravy on their chow mein. It also has mixed vegetables and noodles but some add chili garlic or hot garlic on it. 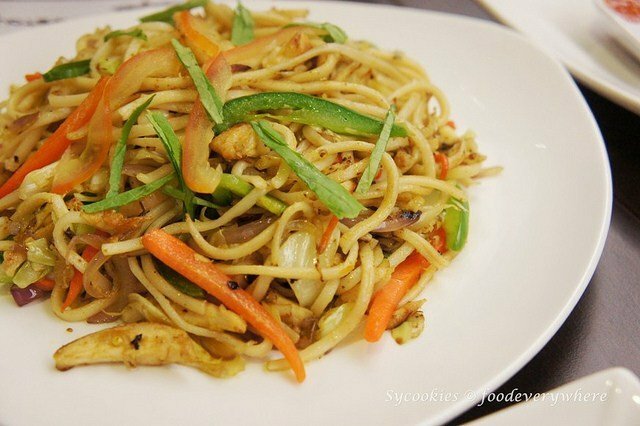 The American version is just like the typical chow mein but they offer to kinds of noodles which are crispy and steamed. 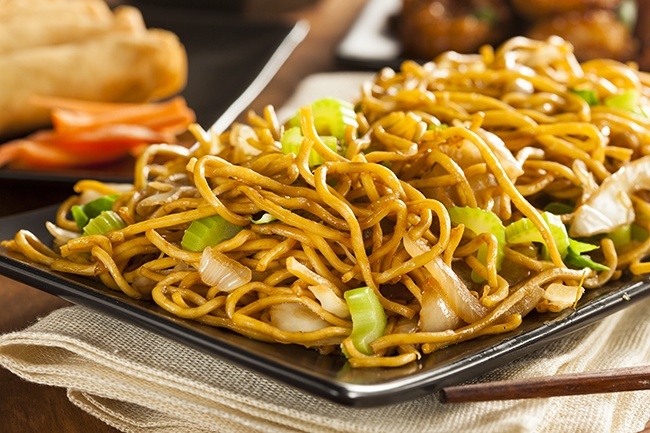 The crispy chow mein are flat and fried whereas the steamed chow mein are long and rounded. And since this is American, they also made a hamburger style chow mein. 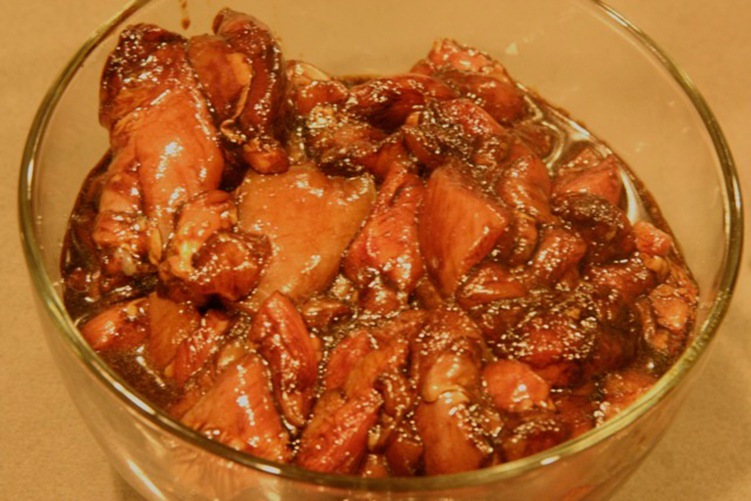 Firstly you have to combine chicken, wine, oyster sauce and cornstarch together and let it sit and marinade for about 15 minutes. 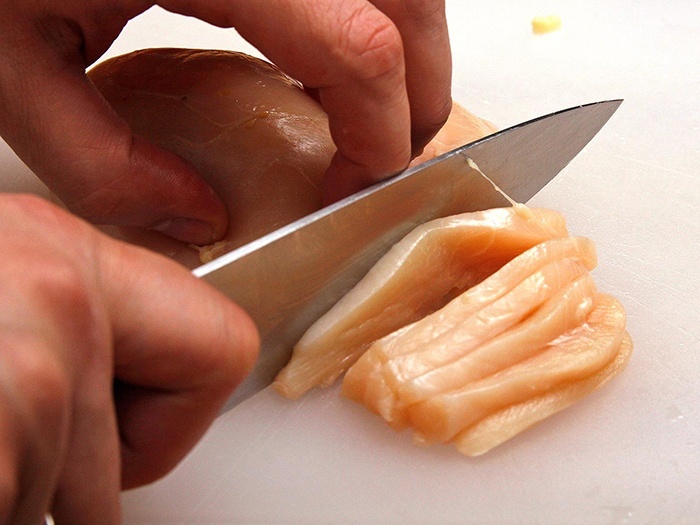 Firstly you should slice chicken the breast into bite sizes by using a sharp knive. 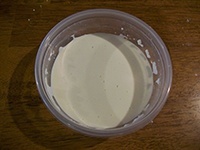 And then, mixing bowl, you may add the chicken and rest of ingredients for marinade and mix well until chicken is evenly coated and then set it aside. Once that's done you may now cut the top end and root of green onions then cut it in halves lengthwise and then cut into 2 inches long pieces. You may set aside with bean sprouts. 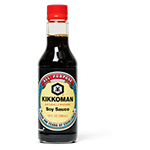 Now you can heat up the wok over hight heat and add 1 Tbs. oil and the chicken. Spread th chicken pieces so they will cook up evenly then stir fry the chicken until their edges are nicely golden brown and about ¾ way cooked, about 2 to 3 minutes. Next is you should heat up the now-empty-wok over high heat and add 2 Tbs. oil and aromatic vegetables (garlic, ginger and chili) then just stir fry them until you can smell all the beautiful aromas for about about 30 to 45 second. Then add the mushrooms, bamboo shot and baby bok choy and stir fry them as well until vegetables are soft enough. You may now add noodles and the sauce and stir fry it until the noodles are fully cooked and you can’t see any sauce running in the wok. Now add the chicken back into the wok along with green onions and bean sprouts and again stir fry it for about 30 second to 1 minute, or until last 3 ingredients are warmed up. Let's summarize the differences of chop suey and chow mein shall we? Chop suey is paired with rice and has a little bit of sauce on it while chow mein can have different noodles on it. Ther ar more varieties of chow mein than chop suey.